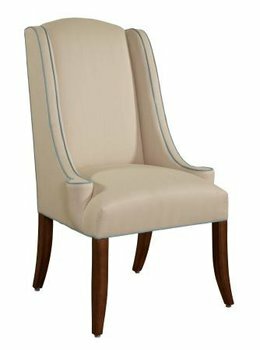 Our hostess dining chair with a transitional design using a tall, thin back and wing treatment. The back is arched with a welt treatment applied on the outside. 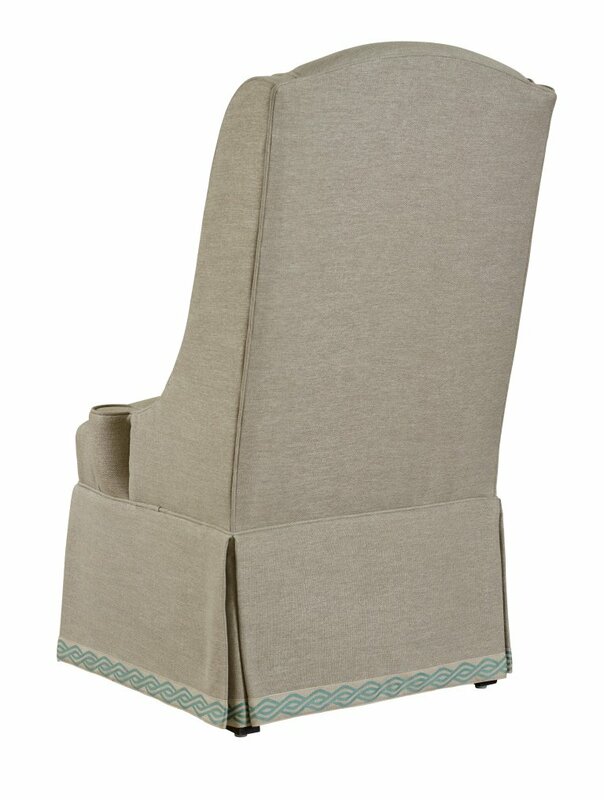 The wings have welting that borders each side of the top edge of the wing and flows into the rounded, low arm stump. 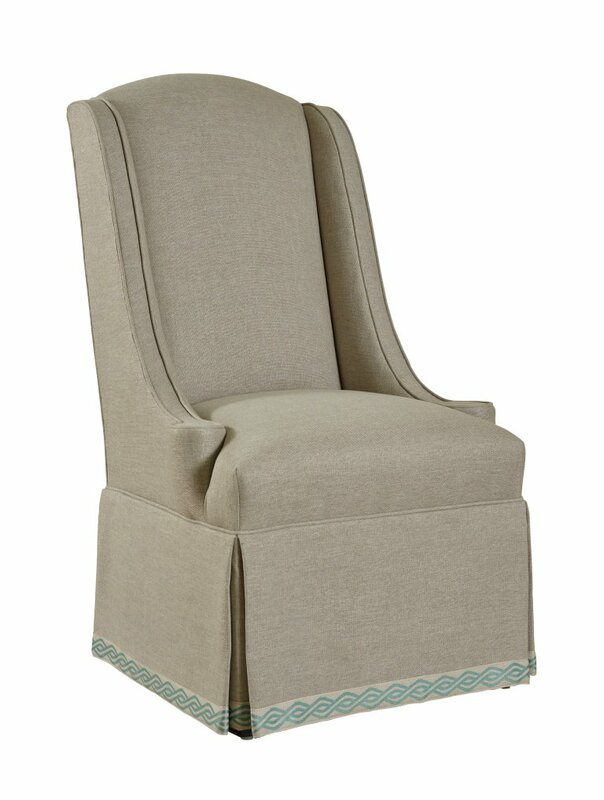 A tightly upholstered seat and dressmaker skirt completes the elegant styling of this chair.